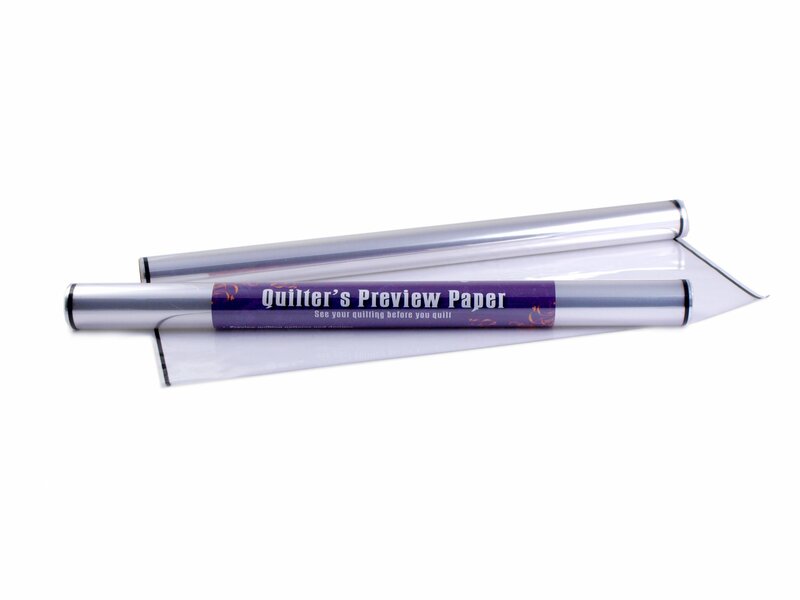 Quilter's Preview Paper (20" x 25', 41.66 sq. ft.) is a design tool to help quilters audition quilting motifs for their quilt. Simply lay the clear film over the quilt and use a marker to to draw quilting designs. (Marks are easily removed with alcohol and a scrap of batting.) Quilter's Preview Paper is also useful for applique placement. Full instructions for use included.